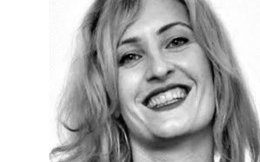 Ingrid Hochwind is currently Industry Manager Beauty for Google in the German Market. She has been working for Google over the past8 years in various roles in Germany, EMEA and the US. In these positions, she has been partnering with major players from the Beauty CPG and Retail Industry to support them on their journey towards digital transformation. Before joining Google she worked for the Marketing Sciences Department of Accenture as well as in Marketing for Beiersdorf. Ingrid studied at Pforzheim University andISCTE Business School Lisbon and holds a Diploma in MarketingCommunications as well as Public Relations. She is passionate about the Insights that digital can surface about consumer needs as well as the technology that revolutionizes the beauty consumer journey.